Jewelry trends have seen a return to general themes of the 1970’s, when statement pieces held personal meaning and collections were expressive and spoke volumes about their owners. Engagement rings in 2016 are resurrecting this tradition with breathtaking and original designs. Check out the latest trends in engagement rings that give a customized touch to accentuate your unique style. Solitaire rings were all the rage 15 years ago and have re-emerged as the engagement ring of choice. Many celebrities are also choosing the open setting to show off a single, prominent center stone. This elegant style is versatile and will blend naturally into an array of accessories for any occasion. Some say less is more. If you’re not one of those people, go with a pave wedding band to add more sparkle to your life and your ring finger. 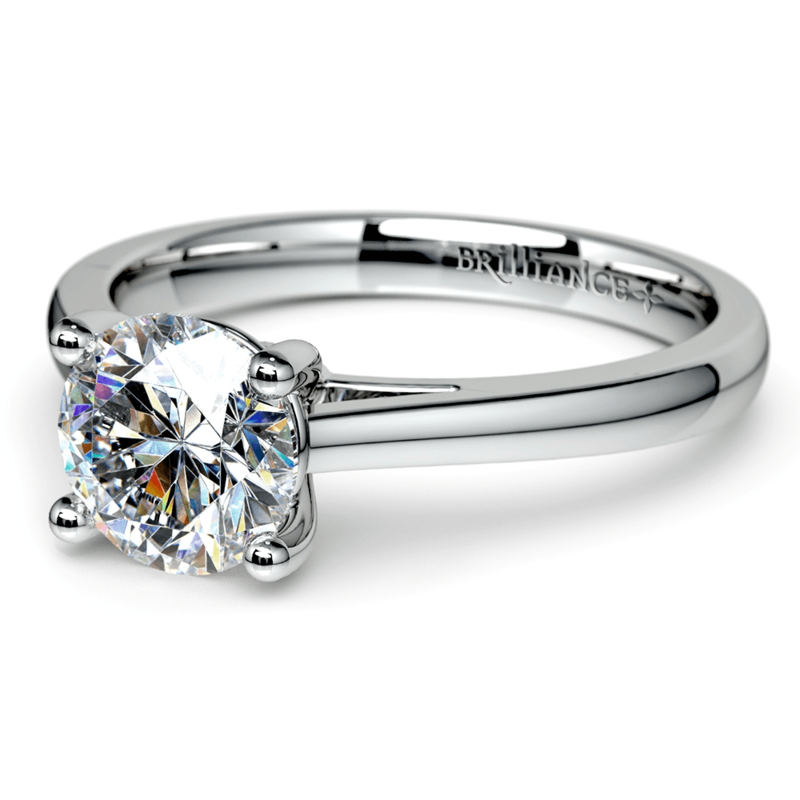 Petite Cathedral Solitaire Engagement Ring in Palladium. Love this look? Check out more settings for round cut diamond engagement rings. 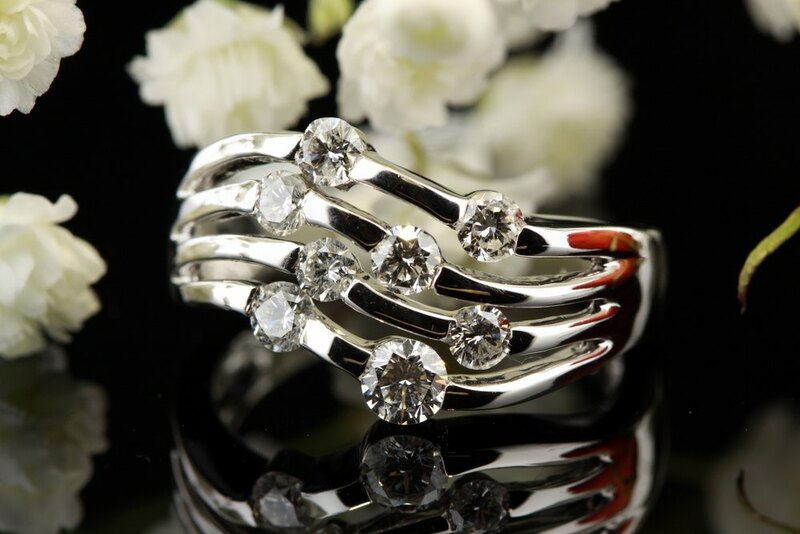 Select a four prong setting so your diamond will leave a lasting impact. Combining your engagement ring with one or more complementary bands is a fun and stylish way to express your personality in this fashion forward trend for fine jewelry. There are no rules when it comes to stacking. Add a family heirloom or antique collectible into the mix and pay tribute to the great taste of treasured family members. Play with color options, different varieties of metal, and band widths to create a look that is all your own. Play with various bands and styles to fit your mood, the occasion, or even an outfit. Stack your ring to tell the story of what it means to be you. Halo rings continue to be a favorite among brides-to-be for a number of reasons. First, they are gorgeous. Second, they work just as well with diamond center stones as more nontraditional gemstone centers, like an emerald. Finally, smaller stones are enhanced by a setting that encircles the center stone with a collection of round pave or micro-pave diamonds that brilliantly reflect the light focusing attention where it should be – back on your wonderful center stone. By some estimates, a Halo ring can make a center stone appear to be a half carat larger than its true size. Step into color to customize your Halo effect. Two-tone rings or gemstone accents are all the rage. 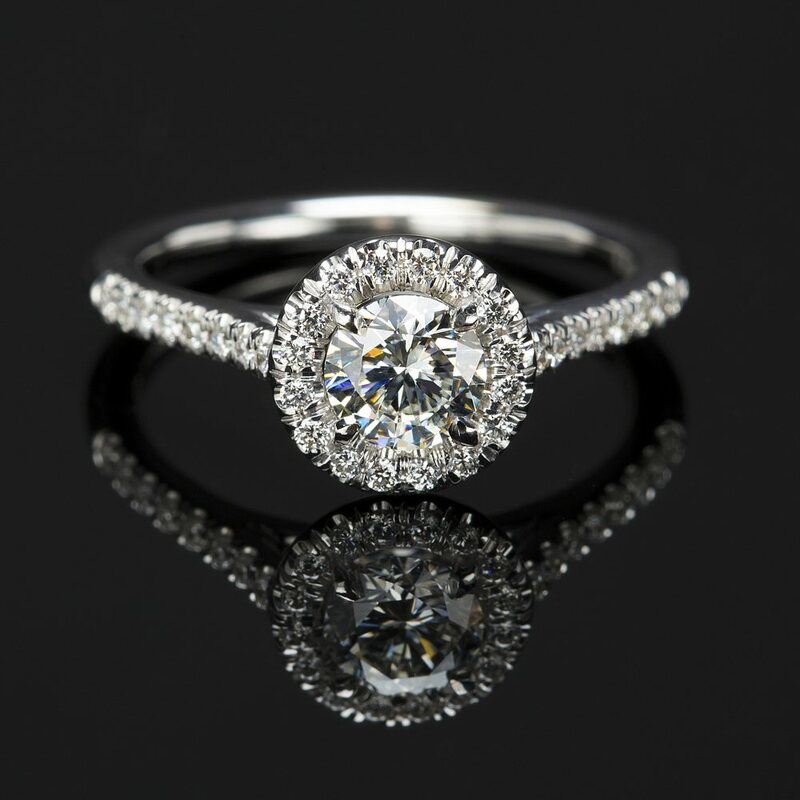 Brides are even opting for a double or triple Halo – 2 or 3 rows of pave diamonds encircling the center stone. This works well for rings with a smaller center stone. Vintage style rings are taking on a new flavor by combining a more artisan or bohemian flair with embellished bands. Brides concerned with the overall aesthetic of the entire ring versus the wow factor of a center place stone are giving life to a trend of using textured or ornate bands for engagement rings. The beauty of these trends is that there is something for everyone! Express your style and let your engagement ring build a story that will last through the ages. Feel free to play with varieties and select a ring that will complement your personality.